Up to and including 2018. This publications blog is an ongoing experiment. I am hoping it will enable me to keep abreast of my published poetry and related activities. I am using it to supplement the more static information on my website and the more detailed entries on my poetry blog. The ('blogpost published') dates against each post, initial post apart, are often of little significance. Editors and others: if you see a poem title on this blog that might fit with an anthology theme or be of interest in some way, please feel free to contact me via the comments box or via the email on my profile page here. Thank you. 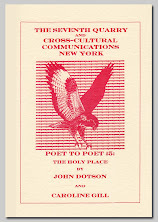 Please see below for The Holy Place chapbook, Published Poems, Readings etc. 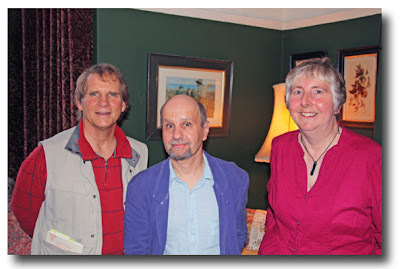 Attended the AGM of Suffolk Poetry Society and read 'Puffin's Assembly' [15/2016] (see below under February) at the post-meeting Reading on Exits and Entrances. My poem, 'Elegy for Idris Davies' [55/2001], is one of the featured poems for February on the Second Light Live website - here (and scroll down a little). 'Puffin's Assembly' [15/2016] published in Orbis #186 (ed. Carole Baldock). [15/2015], [13/2017], [20/2015], [1/2000], [13/2004], [13/2013], [6/2015] and [14/2016] for the poetry pages for FreeXpresSion (ed. Peter Pike and Catherine Lee), Australia. My Poetry and Writing blog receives a mention in Matthew Stewart's Rogue Strands list of Best UK Poetry Blogs for 2018. 'Land of the Wandering Snail' [27/2017] has been published in Suffolk Flora Preservation Trust Adult Education Series 5 (2018): Ripples and Reflections, Leiston Press Ltd.
Three short poems have been published in Star Tips for Writers #128 (2018/No.6) ed. Wendy Webb. The poems are: (cherita) rejoice for our silent trees [40/2018], Under a Star (Magi poem) [41/2018], and Three Cliffs Bay (Magi poem) [42/2018]. 'The Ceilidh House' [47/2009] has been published online in Quill and Parchment for December - here. 'Esto perpetua (May it last for ever)' [37/2018] was published by Ronnie Goodyer of Indigo Dreams Publishing for Reach Poetry #243. Sole judge for local poetry competition, 'Remembrance 100'. I hosted our local 'Remembrance 100' Poetry Prize-giving afternoon of readings. I read from Towards the light: Poems of reconciliation at Quay Place in Ipswich on 8 November (flyer below), and on Saturday 10 November at The Minories in Colchester. Poetry in Aldeburgh: I attended two workshops, 'The 3 Ps of Getting Published' by Helena Nelson of HappenStance Press and 'Writing the Dangerous and the Wild' led by Pascale Petit. My competition entry was one of nine submissions to make the Shortlist of the Indigo Dreams Publishing competition for first full collections. Congratulations to the authors of the two winning collections, Ben Gwalchmai and Zoe Mitchell. 'A Brush with Nature' [20/2015] published by Ronnie Goodyer of Indigo Dreams Publishing for Reach Poetry #241. Two poems, [35/2018] and [37/2018], accepted for Reach Poetry, Indigo Dreams Publishing. Attended an excellent poetry workshop on the theme of 'Poet in the Landscape', arranged by Suffolk Poetry Society and led by Tamar Yoseloff, as part of the ¡Cornucopia! Alde Valley Autumn Festival. Christmas poem, 'Emmanuel's Love' [20/2018], included in Merry Christmas, Everyone, a seasonal anthology produced by the Association of Christian Writers (edited by Wendy H. Jones, Amy Robinson and Jane Clamp, 2018). First Prize in Metverse Muse Fixed Form 'Ottava Rima' Contest (Category A), adjudicated by an international jury, including Bernard M. Jackson from the UK. Winning poem: 'Vermeer’s Masterpiece, 'The Artist in his Studio (Allegory of Painting)' [1/2018]. 'Rainbows and Welsh Cakes' [13/2017] published by Dr. H. Tulsi in Metverse Muse #51-53. 'An Island for Avocets' [20/2015] published by Ronnie Goodyer of Indigo Dreams Publishing for Reach Poetry #240. Two poems accepted by Ronnie Goodyer of Indigo Dreams Publishing for Reach Poetry. Read a new poem, [28/2017], at the 5th Festival of Suffolk Poetry on 26 May at the John Peel Centre in Stowmarket. My review of Susan Richardson's latest collection, Words the Turtle Taught Me, has been published in the spring/summer 2018 issue of Twelve Rivers, the magazine of Suffolk Poetry Society. A Christmas poem, [20/2018], has been accepted for the ACW Christmas anthology. 'Butterfly Mountain' [19/2018] has been published alongside artwork entitled 'Butterfly' by South Korean artist, Jongo Park, in the 2018 Immagine e Poesia ekphrastic eBook. If you follow this link, the anthology can be downloaded as a pdf. I was one of the readers representing Suffolk Poetry Society at our event with Poetrywivenhoe, Border Crossings II, at the University of Suffolk on Wed. 25 April. Our theme of 'Conflict and Resolution' was interpreted widely. My set comprised the following poems: 'et in terra pax' [25/2016], 'Climate Change' [17/2017], 'Lost' (about Edward Thomas) [6/2017], 'A Lesson from Homer' [29/2003] and 'Mah Jong: Clattering Sparrow' [12/2005]. Metverse Muse Golden Jubilee Issue has just arrived from India. It includes a number of my poems - 'Words from the Hygroscope' [18/2017], 'On Emily's Moor' [13/2004], 'Afternoon with Alfred Wallis in St Ives' [1/2000], 'Dragonfly Dance' [13/2013], 'Mapping You' [6/2015], 'From the Shepherd's Hut, Sutton Hoo' [20/2015] and 'A Wand of Willow' [14/2016]. 'To a Mermaid' [21/20117] has been awarded First Prize in 'Category A' for the Metverse Muse Burns Stanza Fixed Form Competition, adjudicated by an international jury, including Bernard M. Jackson from the UK. 'Climate Change' [17/2017], has been published in Star Tips (ed. Wendy Webb, #124). 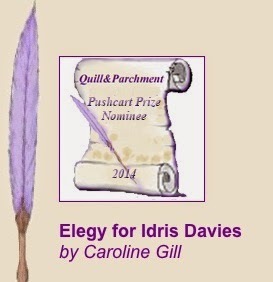 My poem, 'Elegy for Idris Davies' [55/2001], is one of the featured poems for February on the Second Light website - here. My poet profile for Suffolk Poetry Society has been posted here. My poem, 'Land of the Wandering Snail' [27/2017], (about the habitat of the Wandering Snail, Lymnaea peregra aka Radix peregra), will feature in the Suffolk Flora Preservation Trust's 2018 Adult Education volume on the reserves at Simpson's Fromus Valley and Orchid Glade. Tim Gardiner's poem won the adult competition and my poem was commended along with two others. The judges were Kaaren Whitney, Poet-in-Residence for the reserves, and Suffolk Poetry Society Chair, Florence Cox. For Awards, Photography, Art and older CV items, please click here. 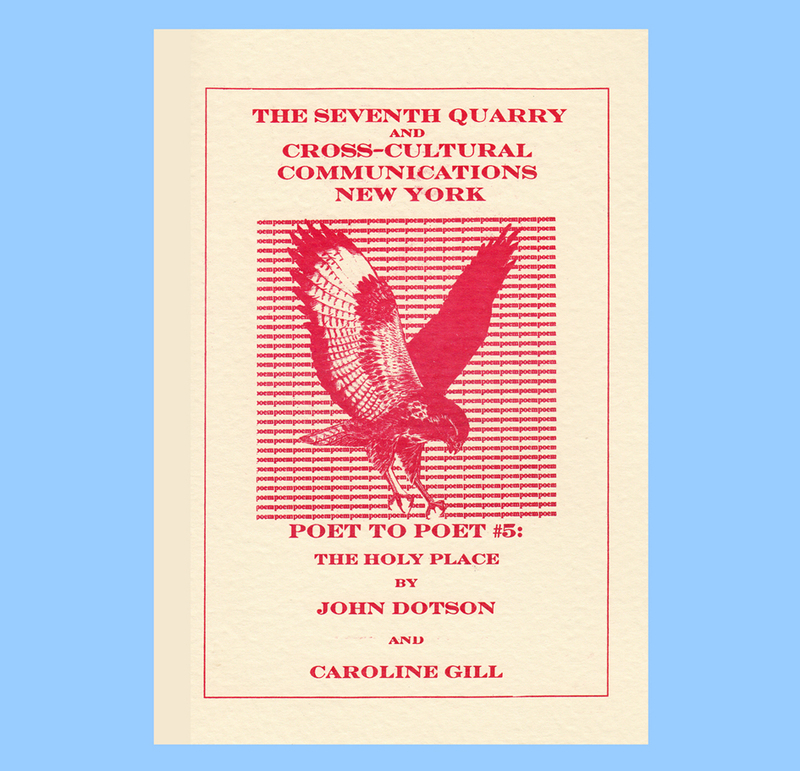 “Caroline has eighteen poems in a chapbook, 'The Holy Place' ... I really enjoyed reading them and am sure you will too." “I would like to single out the way [Caroline] uses Scottish vocabulary so effectively in a poem called 'The Ceilidh House', which gives a very strong impression of storytelling on Skye ... Complex but clear, Caroline Gill's writing is never wrongfooted." “There is rhyming musicality ... in Caroline Gill's pièce de résistance, 'Rhossili: Writing the Worm', a magnificent 8-verse poem ... This elegant poem is so very finely crafted and it virtually 'sings' throughout its 8-verse setting ... Here indeed is a fascinating joint-collection ['The Holy Place']." 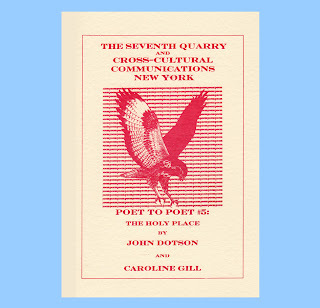 “Caroline is a bit of a rarity these days in that she writes formal poetry and writes it well." “The best poems here [in Caroline's half] are when she combines this close observation of nature with a keen sensitivity to the history and landscape of Wales (and sometimes further afield). 'Preseli Blue', for example, eulogises “the stone that sings of hiraeth” in 16 well-honed lines, while 'Rhossili: Writing The Worm', is the highlight, metrically-surefooted and musical ..."
“For anyone who has a close involvement and appreciation of nature, place and history, this is an inspiring collection." To buy a copy of The Holy Place, please click here. Copies are £3.50 inc. p&p in the UK. For online reviews of The Holy Place, please click here. by John Dotson and Caroline Gill (2012). Blog Archive. Please click arrows for headings.